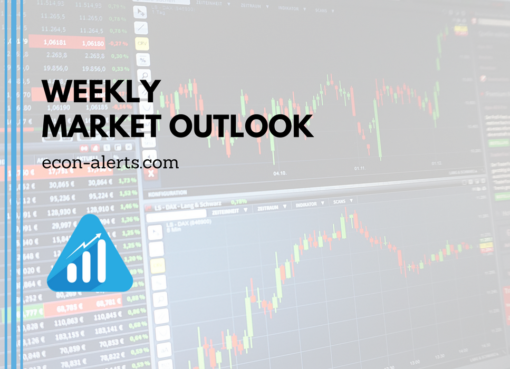 EUR/JPY has been neutral since September 25, trading in a broad range between 131.80 and 133.00. Trend and momentum indicators are pointing to more sideways trading in the short-term. On the 4-hour chart, RSI and MACD are flat, while the Ichimoku cloud analysis also shows a lack of direction in the market. EUR/JPY is currently trading at the lower end of the range, with support at 131.80. The immediate risk is tilted to the downside. Breaking below this level would target 130.55 ahead of the September low of 129.36. Prices would need to break above the 133.00 level to improve the odds for an extension up to 134.40, a level not seen since November 2015. Clearing this peak would see a resumption of the longer-term uptrend. The intraday bias is neutral as prices consolidate just above the lower end of the broader range. In the bigger picture, EURJPY is lacking direction after pausing and pulling back from a strong rally in September. AUD/USD maintains a soft undertone and the neutral to bearish technical indicators are supporting the bearish view for the short term. 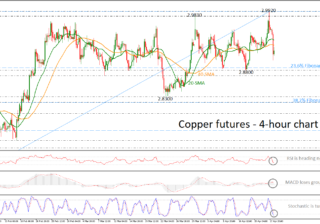 The downward move from the 0.8124 peak is still in progress after the recent bounce off 0.7732 reversed back down as prices found resistance at the 50-day moving average. 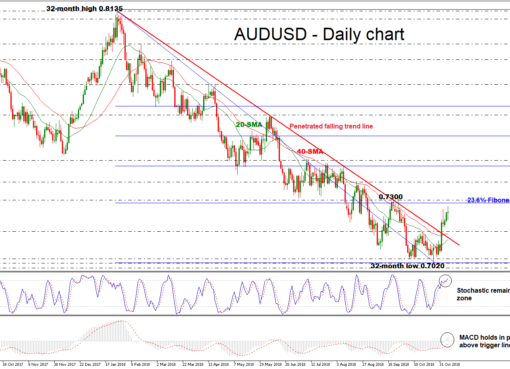 AUD/USD may be forming a lower top at 0.7897 to continue the downtrend. This would be confirmed if prices break below the 50% Fibonacci retracement level of the uptrend from 0.7328 to 0.8124. This level is acting as support at 0.7725. 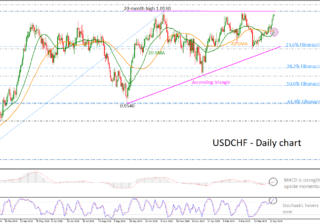 From here the market remains at risk of additional losses towards the 0.7500 area before re-testing the 0.7328 low. 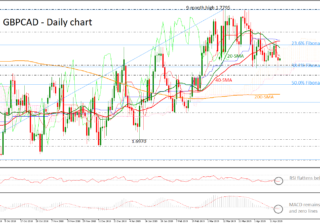 Should prices break above the 50-day MA (0.7909), AUDUSD would shift the focus back to the upside to target the key 0.8000 level and then the 0.8124 peak, with scope to resume the uptrend that started from 0.7328. Looking at the bigger picture, the underlying market structure is still bullish as the pullback from 0.8124 is not that deep yet. Prices are currently only at the 38.2% Fibonacci retracement level.